Yup, it's happening. 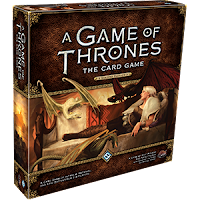 A new card game. These sorts of card games are nice. 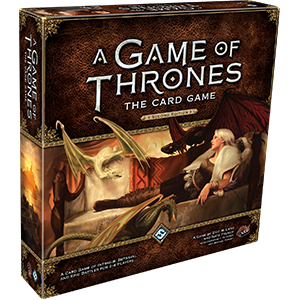 You really only need a deck to play, so you're not lugging around a huge collection every time you want to meet up with someone. I like to throw a couple of games worth of decks into my bag when I head to the gaming shop, just in case someone wants to play. I think right now, I have Star Wars Destiny, a Magic the Gathering Commander deck, Warhammer 40k Conquest, Arkham Horror TCG and now AGoT TCG. They collectively take up so little space that it's a non issue to take them with me every game night. 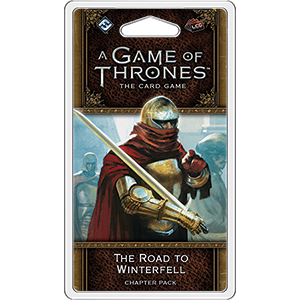 AGoT TCG seems to be your standard FFG fare... cards and tokens. If you've played any of their games, this is easy enough to learn. It's nice to see some non-HBO artwork. 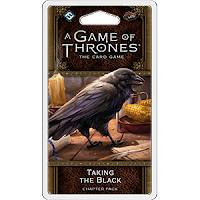 I'm abut 99% sure that this game is based on the books and not on the show. I'm guessing that opens the decks up to a million ancillary characters that I'm otherwise unfamiliar with. 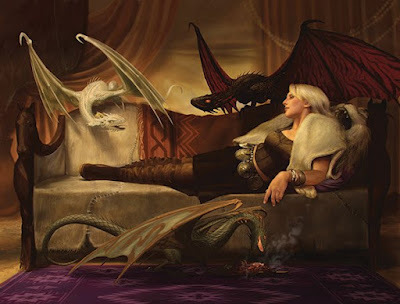 Khaleesi looks a little more regal AND a little more clothed, which is a nice change of pace. HBO can waffle between focusing on story and focusing on... other things. I had a bit of credit, so I bought a "starter" amount of product. 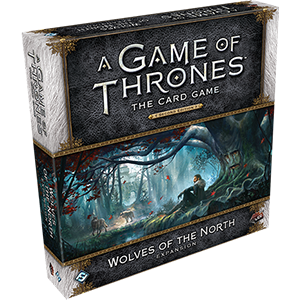 Especially with the Wolves of the North expansion, this should allow me to build a decent House Stark deck. I'll probably start with their recommended Direwolf Aggro decklist and then modify from there. This is what I picked up. I think I'll be playing my first real, non-learning game on Friday night.